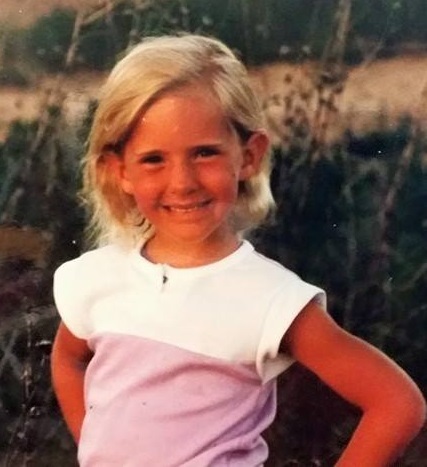 Sarah H. is a badass bookseller who takes Texas book slingin’ to a whole new level. She currently helms BookPeople’s non-stop, party-all-the-time Internet Orders department. When not at work, she can be found researching Austin’s deep, dark literary underbelly. Look for her in the Sci Fi section and just about anywhere high caliber, boundary-defying, genre-bending lit resides. The follow up to S.E. Grove’s debut YA novel, The Glass Sentence, continues the tale of Sophia Timms and her search for her missing explorer parents. 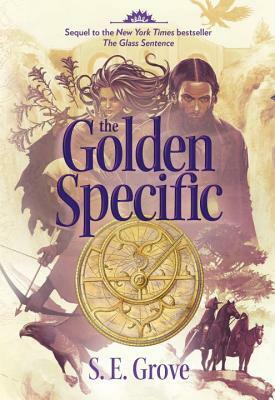 Sophia and Theo become separated and have their own adventures to contend with, and a few new characters are introduced. This series is often compared with Philip Pullman’s His Dark Materials series, and with good reason – while steeped in fantasy and magic, both universes have solid internal logic, and both very clearly value scientific thinking. 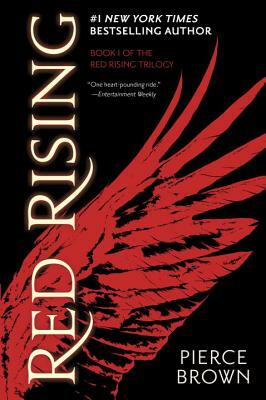 This series is incredibly imaginative in its world building, and has made me care so much about the characters that I feel sadness when I come to the end. It’s the type of situation where the next (and final) book just can’t come out fast enough. I’m a big fan of Felicia Day (well, I probably fall somewhere in the middle of her fan spectrum, to be totally honest). She really is just a cool person who had a kinda weird life, and turned her unique perspectives and abilities into a successful career. If you are unawares of the glory that is Felicia Day, check out Dr. Horrible, The Guild, GeekandSundry, and Supernatural (or go directly to her personal site to see, well, everything she does). 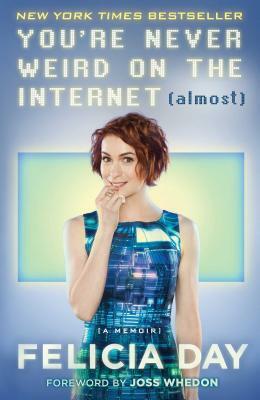 In her memoir she covers growing up home-schooled in the south, moving to LA to be an actress, building her own hugely successful web-series and creating the online epicenter of geekdom (the aforementioned GeekandSundry.com). This woman is a force to be reckoned with! Also, she’s funny, honest, genuine, and embraces all those things about herself that might, in mainstream culture, be deemed a little weird. And she embraces those things in other people too. Which is one of the many reasons she is so beloved. Written in three parts, the latest by Sci-Fi juggernaut Neal Stephenson begins with the explosion of the moon (causes unknown). The shattered remnants of the moon continue to collide and scatter, with the impending destruction of the earth to closely follow. 1500 people are able to make it off the planet and on to the International Space Station before Part 2, where the rest of the 7 Billion people on earth die out. Part three jumps 5,000 years to the future, and the human race has swelled to 3 Billion and live in a ring around the earth. Seven races have formed by then, each named after the “Seven Eves” who survived Part 2. 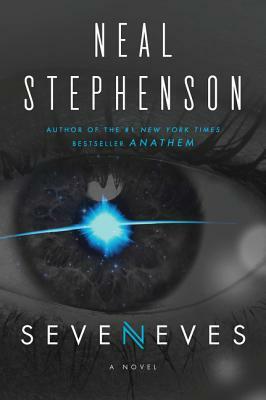 Stephenson has written some of my favorite novels (Snow Crash, The Diamond Age), and never disappoints. His ideas are big, his directions unexpected, his themes poignant. While reception of this novel has been mixed, I personally cannot wait to dive in to this 880 page tome! 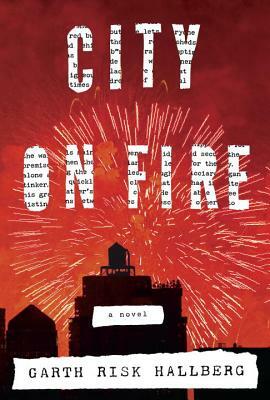 The description of this novel had me at “1976 New York Punk Rock Scene”. After reading Part One (about 100 pages), I can honestly say this is a beautifully written narrative. It lingers significantly on the inner lives of its characters, and the plot moves more slowly than most things I read. But that seems to be the point of this book (the inner lives, not the moving slowly). A death occurs, and everyone involved with that person begins to careen toward each other, unbeknownst to themselves. I’m not quite sure where all this is going, but these characters are all damaged in some way, and as they discover their connections to each other the city seems to be ushering them towards some mysterious end. A reckoning? A redemption? Who knows! It’s very compelling. There are so many amazing things surrounding this series, it really would be impossible for me to not read it. First, James S.A. Corey is the pen name of two authors – Daniel Abraham and Ty Franck – the latter was previously George R.R. Martin’s assistant, and the former a George R.R. Martin collaborator. Second, the SyFy network is developing a TV show based on this series with screenwriting duo Mark Fergus and Hawk Ostby. who are responsible for the films Children of Men and Iron Man. There is very little chance this series won’t be amazing. 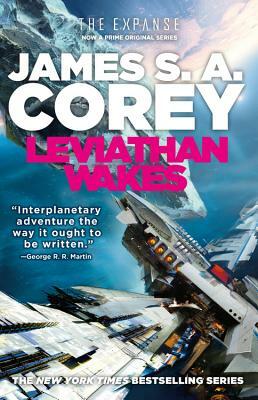 Finally, Leviathan Wakes won the 2012 Hugo Award for Best Novel and the 2012 Locus Award for Best Science Fiction Novel and the novel has been praised as a truly “kickass space opera” (and I’m a sucker for a good Space Opera). There are currently five novels in the series (a total of six have been promised), all clocking in at well over 500 pages (so they’ll look nice on my bookshelf when I finish reading them all too, bonus!). This may be the title most recommended to me by my fellow book sellers. I’m a little late to the party on this one, but that just means I get to read the 2 sequels right away, instead of waiting a year between each one. This is yet another book on my Fall reading list that is set in space, and includes Mars in the plotline. Sixteen-year-old Darrow is part of the miner class on Mars (the “Reds”) who toil beneath the surface in the effort to terraform the planet. He uncovers a conspiracy of the elite class (the “Golds”) and creates a plan to infiltrate them with the help of a group called “The Sons of Ares”. There are elements of Roman mythology, dystopian future worlds, and science-fiction all packed into a story said to have the ability to “inspire a generation of readers to think intelligently about the impact of their decisions…” My only excuse for not having read this one already, is that twenty-four hours is just not enough time in the day to do everything I want, and read everything I want. It’s a paltry excuse, I know, but it’s the only one I have.